MARA is being kind to me but someone's not appreciating it, and that's right, it's me. I know, I should be so very happy and dancing in Cloud 9. I know I should be so very thankful for this wonderful opportunity to do this extremely difficult Pre-U program, and spend two long, hard years to prepare to go overseas. But I don't know, maybe I was expecting it already, and maybe I'm so reluctant to go because my sister makes it sound so very tough and challenging. But I think the main reason is because I'm enjoying myself so much at Matriculations, I've made more friends that I had expected, and the Matrics course just sounds so much faster and easier. I'd be such a fool to reject MARA. But I don't know. 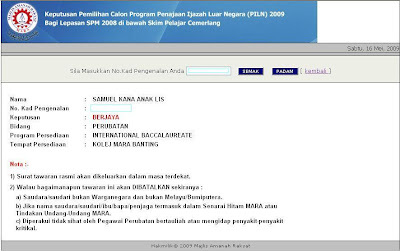 A friend of mine, Gary Buja, who is now completing his IB Program at Kolej MARA Banting, did comment that he liked it better in Matrics because there were more people to make friends with, but in the MARA College people are more kia-su and less humble. It's a dog-eat-dog world out there, you know. Then there's the question of whether or not I really want to go to UK or Ireland, where people are snobbish and proud, and the white people intimidate me so. Is the prestige worth the cold weather and the godlessness of the West? But for the sake of my future, my dreams, my ambitions... I'm going stay around in Matrics for two more weeks, and see how it goes. *sigh* Why am I complaining that God is blessing me so much? This would seem, to any other person, such an easy choice to make. But, it's not for me. But I thank God for the opportunity to choose. Some people don't get to choose. Some people didn't even get Matrics, so I will stop complaining now. 1. Are you sure you WON'T make friends in MARA? 2. Are you sure that people in UK are SNOBBISH? I beg to differ. They can be very kind as well. 3.There may be ungodliness in many places in UK . But they are also sparks of revival happening as well. Perhaps, YOU would be the one carrying that fire and rewrite history? 4. Adversity breaks people; to others it breaks records. Are you afraid of a challenge? 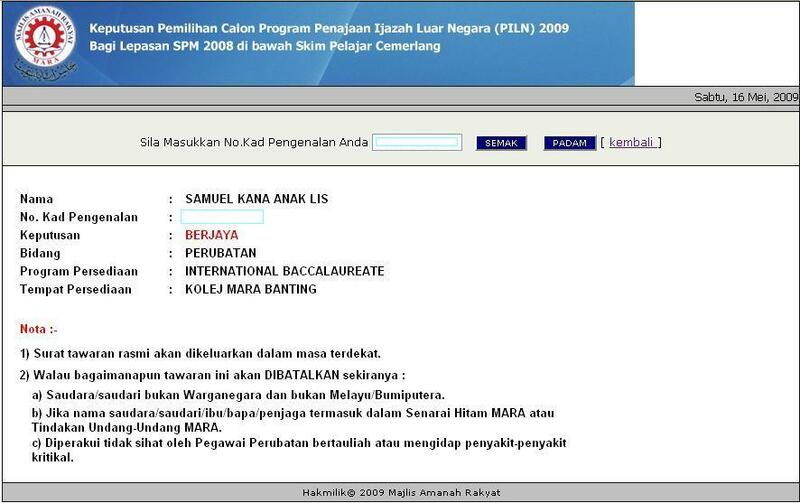 Anyway, Congrats on your application for mara! I can understand what you are feeling right now. Making decisions are quite hard when both the decisions have almost the same advantages(I know because I just went through this stage). Pray to God and all the best to you. The best choice will just come to you. wow thanks so much!! i'm at the college's cyber cafe, in between classes. wheeee!! !